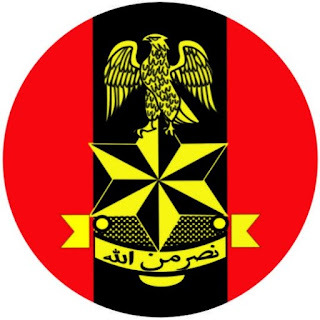 Check Nigerian Army Shortlisted Candidates DSSC Course 24/2019 Here. Nigerian Army Shortlisted Candidates DSSC Course 24… Nigerian Army – The underlisted successful candidates from the Nigerian Army Direct Short Service Commission Course 24/2019 Selection Board are to report for officer cadet training at Nigerian Army School of Infantry (NASI), Jaji-Kaduna on Thursday 31st January 2019. Serving soldiers are to come along with release lettersand passes from their commanders/commanding officers. Successful candidates are to check their names and general instructions at nigerianarmyms.ng. Nigerian Army Trades/Non Tradesmen/Women Recruitment 2018. Nigerian Army DSSC Recruitment 2018 is Out | Check Requirements Here. B: Medical Consultants Officers on successful completion of military training shall be granted the rank of Major. B: Officer Cadets who successfully complete the military training shall be granted the rank of Lieutenant with no advantage of seniority. Log on to: nigerianarmyms.ng to create an account.